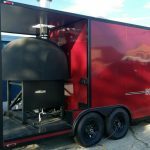 Browse our active listings of food trucks for sale across the state of Arkansas. We organize these listings by state so you can inspect nearby units in person before you buy. Every one of our our listings includes detailed photographs, mileage, make, model, kitchen equipment, and other important details so you know if the unit is right for you. As with any preowned vehicle, the condition and age of units for sale will vary. We publish a wide range of trucks and trailers because we understand not everyone’s needs are the same. 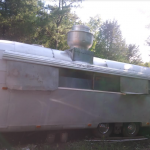 You may be looking for a low-cost trailer that needs maintenance to get up to code. Alternatively, you might be looking for something that has been well-maintained and more turn-key in nature. No matter what your goals be sure to check out vehicles in person before purchasing. An on-site inspection will help you determine if the quality meets your requirements for a vehicle.